Petra – One of the New Wonders of the World – Join us in Jordan! In February we will be going to the beautiful country of Jordan. 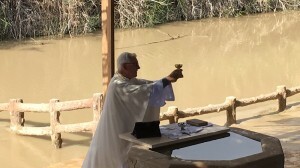 Christians thrive there and have some of the most spectacular churches in the Middle East. 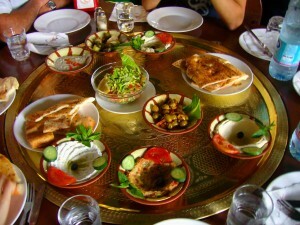 Daily Mass with the locals and the best Middle Eastern cuisine you’ll find anywhere. 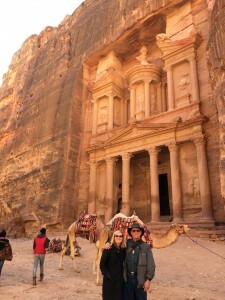 We will visit Petra and ride camels back to the city carved out of the rocks. 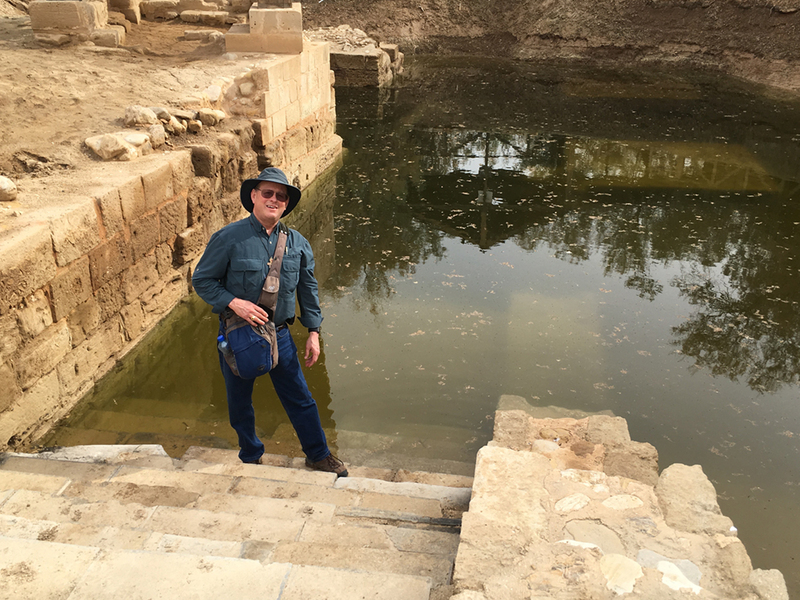 Smithsonian Mass at the authentic baptismal site of Jesus, view the Promised Land like Moses did from the top of Mount Nebo, see King Herod’s fortress where John the Baptist was beheaded. Elijah was born here and assumed into heaven from Jordan. And that is just the beginning. Jordan is a friendly, safe, beautiful and biblical land. We have the best Catholic guide (my friend Elias; we are his daughter’s godparents), best hotels, excellent food and a comfortable bus with a small, intimate group. After our pilgrimage through Jordan we will drive across the Jordan River for a full pilgrimage through the Holy Land in Israel. What a trip! This will not be repeated for another couple years so jump on board now. See our interactive map and website HERE. Download the brochure HERE. Read my personal invitation above to the right. An experience with the university swim team left an impression that didn’t seem so significant at the time. “One of my teammates wore a scapular,” she said. “I’d see her take it off to swim and then put it back on again. 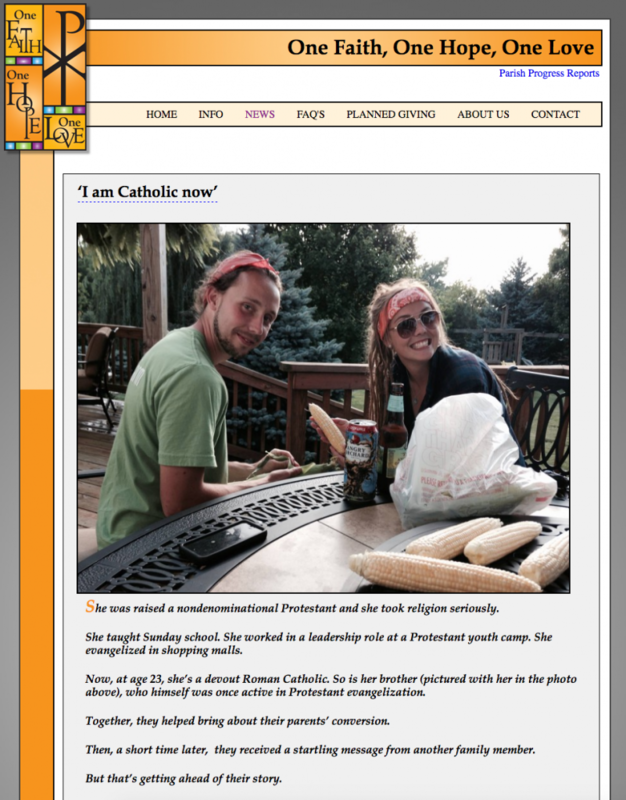 It’s hard to explain, but, looking back, that created a softening in me toward Catholicism. “I wasn’t anti-Catholic. I knew Catholics were Christians but I was hesitant towards Catholics because I did not understand the faith. I knew some Catholics who were actively under grace and mercy but I knew many Catholics who lived a very worldly life. I didn’t understand religiosity which confused my understanding of the definition of a Christian. Rachael graduated in 2014 with a business degree. That summer, she went to work for a nonprofit evangelical summer camp in Texas. She started as a counselor and cook, but was quickly promoted to a leadership post. “In that culture, you say a prayer and you’re saved. The theology is sola scriptura, and faith without works. Baptism isn’t necessary. I remember a camper came to me and said, ‘I want to give my life to Christ.’ I didn’t really know what to do with that. So we prayed. If I’d known what baptism was, I’d have said, I don’t know, ‘let’s go jump in the lake,’” she adds, laughing.